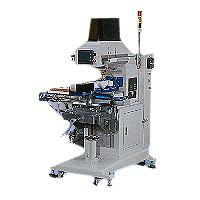 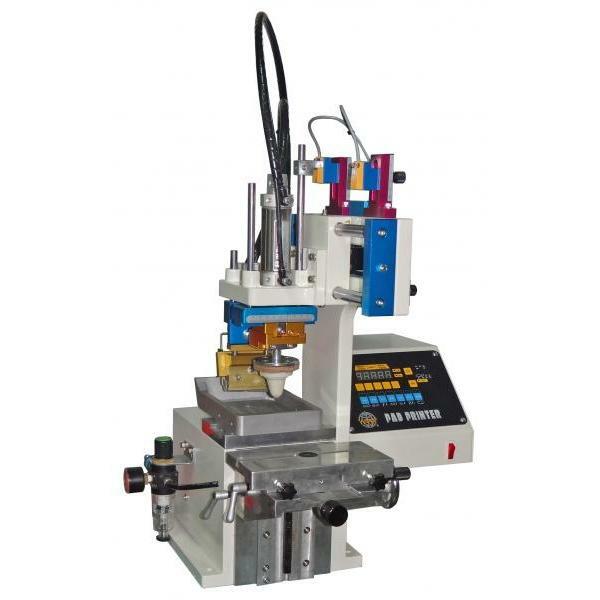 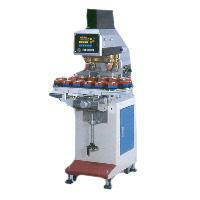 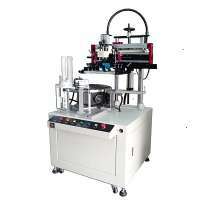 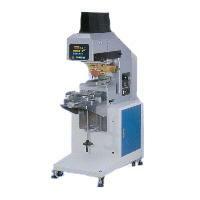 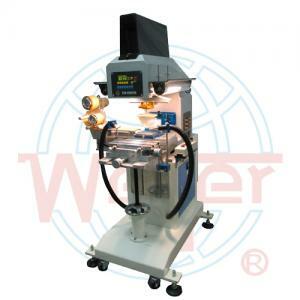 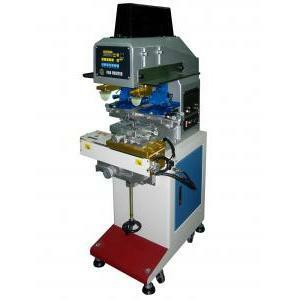 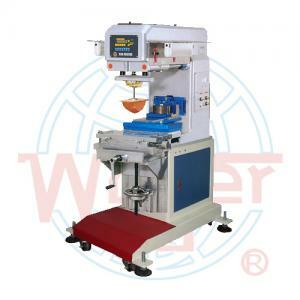 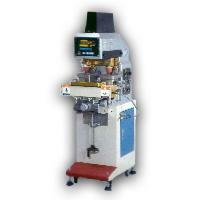 Four Color Pad Printing Machine (WE-164BY-A / WE-164BY-B) - Guger Industries Co., Ltd. 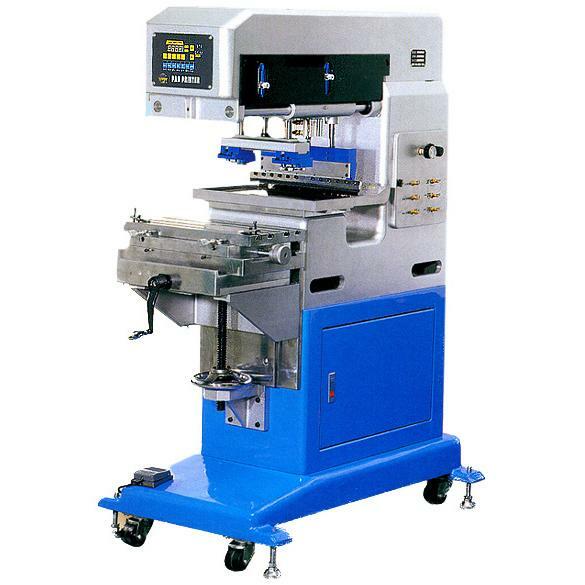 Suitable for telephone and mobile phone's key pad, household electric appliance and sporting goods. 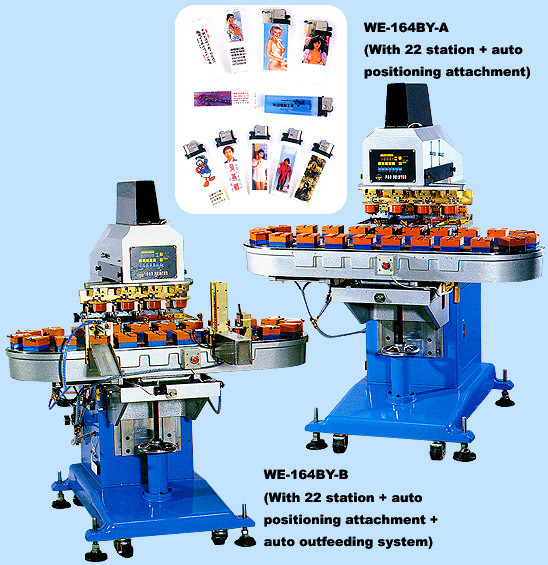 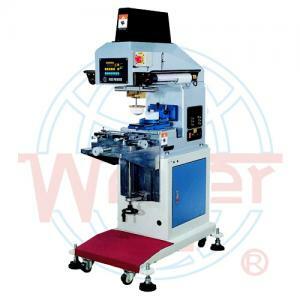 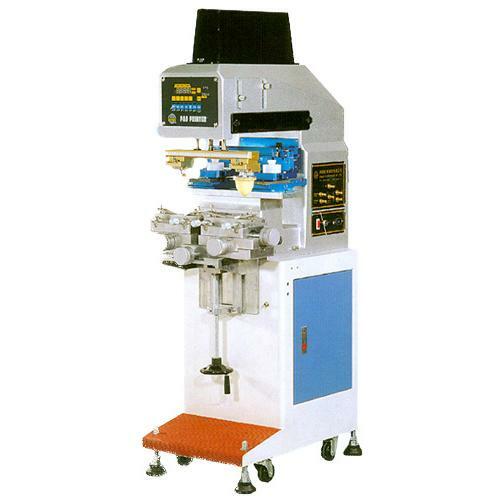 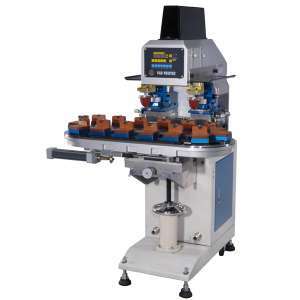 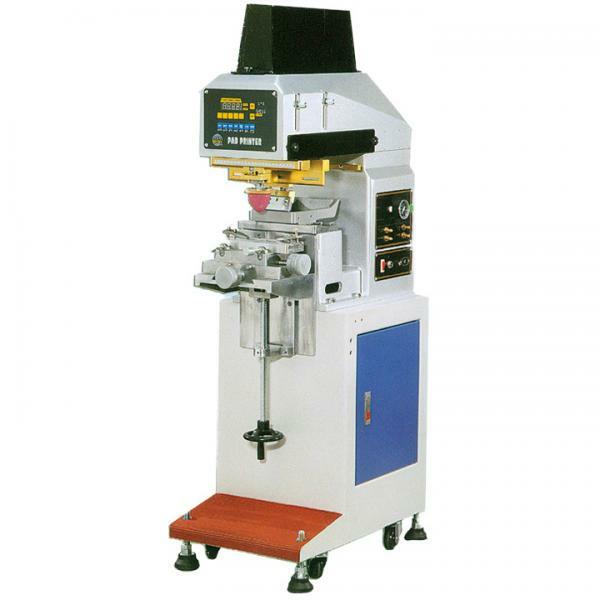 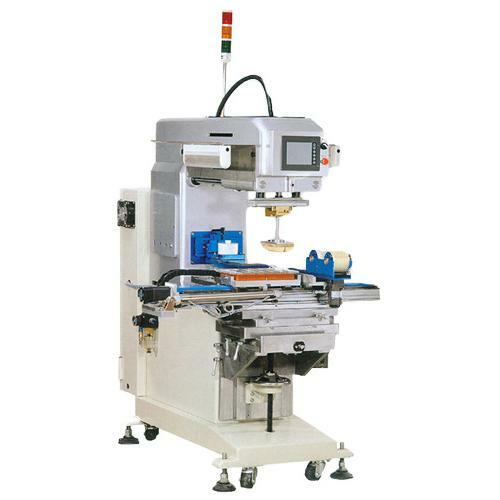 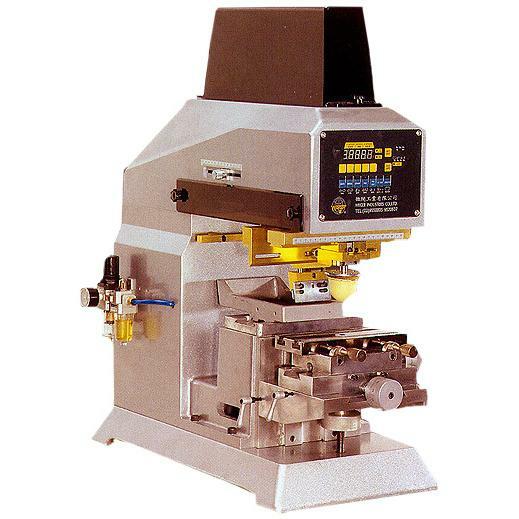 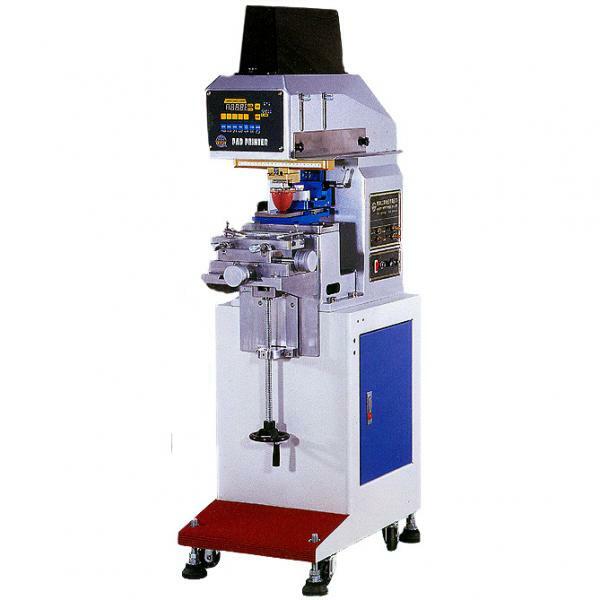 A detachable ink tray and adjustable Dr. blade are used on the machine of which these two separate unit can be adjusted respectively as per different applications, as wish, if required. 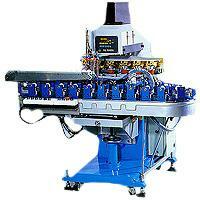 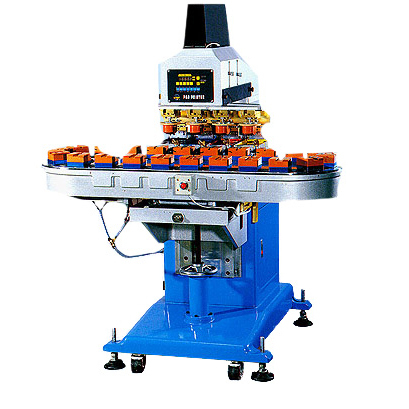 An individual air cylinder is used on rotary conveyor for precise positioning. 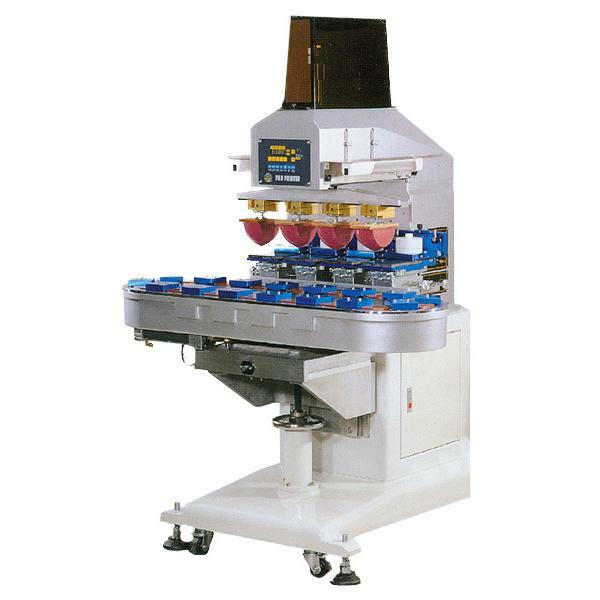 With a 22 station conveyor system design is easy to be linked with other automation, if required.